This event has been postponed to 2019. Sign up below to receive updates! FULL DAY OF WORKSHOPS INCLUDED IN TICKET PRICE! 3 days of deep-dive Spring, with hands-on workshops included for one low fee! The SpringCon.Tech 2018 call for proposals is now clo, and closes March 5. The conference will be in New Orleans on June 4-6. Rejection notices will go out on March 15, 2018 or earlier. PLEASE TAKE 30 SECONDS TO REVIEW THESE GUIDELINES! Once you've signed up on the CFP site, click 'Create New Event'. 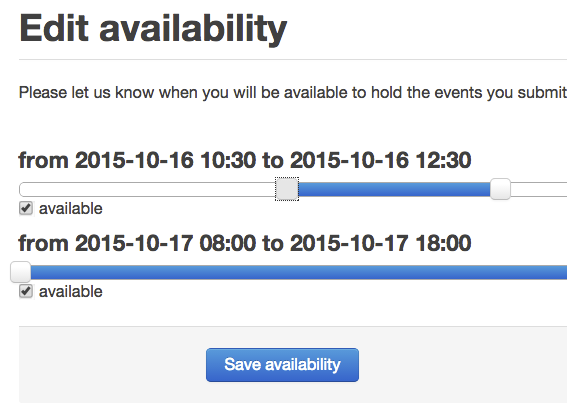 Make sure you also mark your availability. Presentations (lectures) are 50 mins + 5 min for questions. Break apart longer sessions into PARTS I, II, etc. Longer, deep dive sessions, are given priority. As we are a low-cost conference, we have limited resources for covering presenter travel. Please ask your company if they can cover your travel first. Please mark accordingly if need travel reimbursement (see below). 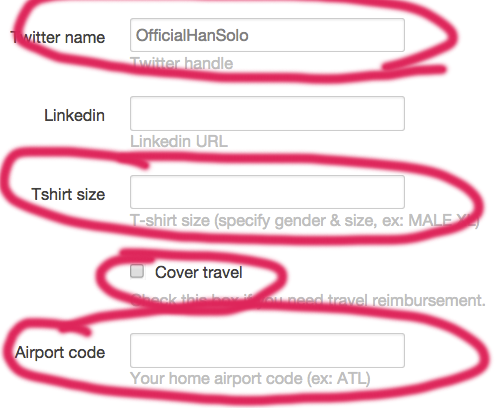 DO NOT CHANGE YOUR "COVER TRAVEL" SELECTION ONCE YOUR SESSION HAS BEEN ACCEPTED! WE GET A NOTIFICATION WHEN THIS FLAG HAS BEEN FLIPPED, AND WE WILL RE-EVALUATE YOUR ACCEPTANCE! If you need to change this flag, please email us first! Please email hello@SpringCon.tech if you have any questions. While creating your profile, be sure to fill in these sections. Your photo will be taken from Twitter! 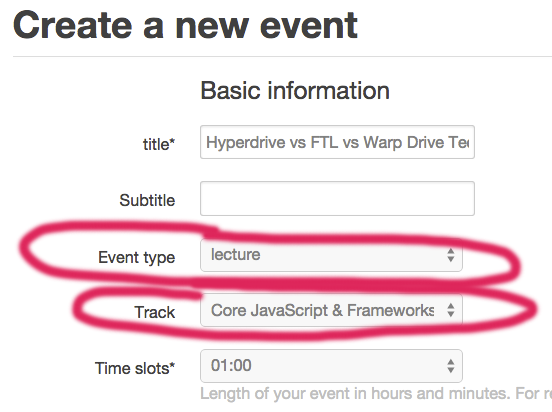 Set Event Type to lecture. Be sure to pick the correct track also. Click here submit a session! SpringCon.Tech will take place in the heart of historic New Orleans, within walking distance of the best food, music, and culture the city has to offer. Click here to get greatly reduced conference-only rates! Click here for sponsor info! SpringCon.Tech is dedicated to providing an outstanding conference experience for all attendees, speakers, sponsors, volunteers and organizers (SpringCon.Tech participants) regardless of gender, sexual orientation, disability, physical appearance, body size, race, religion, or financial status. We do not tolerate harassment of SpringCon.Tech participants in any form. Please treat your fellow SpringCon.Tech participants with respect, regardless of the context you’re interacting with them. SpringCon.Tech is dedicated to providing an outstanding conference experience for all attendees, speakers, sponsors, volunteers and organizers (SpringCon.Tech participants) regardless of gender, sexual orientation, disability, physical appearance, body size, race, religion, financial status. We do not tolerate harassment of SpringCon.Tech participants in any form. Please treat your fellow SpringCon.Tech participants with respect, regardless of the context you’re interacting with them. Harassment is not appropriate for any conference venue. We expect all SpringCon.Tech participants to follow the Code of Conduct during the conference. This includes conference-related social events at off-site locations, and in related online communities and social media. Participants asked to stop any harassing behavior are expected to comply immediately. Conference participants violating this Code of Conduct may be expelled from the conference without a refund, and/or banned from future SpringCon.Tech events, at the discretion of SpringCon.Tech Examples of harassment include offensive comments, verbal threats or demands, sexualized images in public spaces, intimidation, stalking, harassing photography or recording, sustained disruption of sessions or events, and unwelcome physical contact or sexual attention. Speaker presentations fall under this category and should not use images or examples that would violate the code of conduct. SpringCon.Tech participants must remember that SpringCon.Tech organizers and volunteers are not trained conflict resolution specialists, nor are they security or law enforcement. SpringCon.Tech organizers and volunteers will immediately escalate issues around safety, violence, or similar situations to venue staff or law enforcement. For the protection of SpringCon.Tech participants, SpringCon.Tech will never put its organizers or volunteers in the position of trying to assess whether or not an incident merits escalation. If there is any doubt, we will escalate incidents to the appropriate agency immediately. Incident Resolution • All SpringCon.Tech participants agree to treat each other with respect, regardless of whether you are in a session room or at the venue facilities. • Simple disagreements should be resolved between the individuals concerned. • Harassment or more serious issues should be escalated to a SpringCon.Tech organizer or volunteer. That person will immediately contact a SpringCon.Tech Board member who has the responsibility to assist in resolution. • SpringCon.Tech participants suffering outright assault or extreme harassment should contact the venue staff immediately, or a SpringCon.Tech organizer if they're nearby. That person will immediately escalate the issue to the venue staff or law enforcement as appropriate. Google Analytics: change UA-25089888-9 to be your site's ID.